2013年9月30日 今すぐ使える英会話例文集 What makes you so sure? 2013年9月29日 今すぐ使える英会話例文集 Piece of cake, right? 2013年9月26日 今すぐ使える英会話例文集 You twisted my arm. 2013年9月25日 今すぐ使える英会話例文集 You got to think outside the box. 2013年9月24日 今すぐ使える英会話例文集 I would suggest cozying up to her. 2013年9月23日 今すぐ使える英会話例文集 Keep the engine running. 2013年9月22日 今すぐ使える英会話例文集 How much farther? 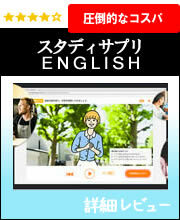 2013年9月21日 今すぐ使える英会話例文集 Thank you for the heads up. 2013年9月20日 今すぐ使える英会話例文集 Your security is abysmal. 2013年9月18日 今すぐ使える英会話例文集 She’s showing signs of a bodyguard complex. 2013年9月17日 今すぐ使える英会話例文集 How does it feel to walk a mile in my shoes? 2013年9月16日 今すぐ使える英会話例文集 I got your back. 2013年9月14日 今すぐ使える英会話例文集 Do you need a refill? 2013年9月13日 今すぐ使える英会話例文集 That’s a definite maybe. 2013年9月11日 今すぐ使える英会話例文集 I’m the peacemaker.